The Dataprobe iBoot-G2 (SKU 1410034) is a 10/100 Ethernet network attached, IP addressed, Web Controlled remote reboot power switch. Anyone with a web browser can access the iBoot-G2 to perform power On, Off or Reboot (timed power shutdown) operations. iBoot-G2 is password protected for security. The iBoot-G2 uses international standard IEC320 connections and is auto sensing for worldwide use. Line cord and Output Cord are included for North America. The iBoot-G2 handles circuits up to 12 Amps (10 Amps at 230VAC). Just point your browser to iBoot's IP address, enter the Password and you're one click away from power ON, OFF or a timed Reboot. It's that simple. The unique Auto-Ping feature allows iBoot-G2 to monitor any IP device on the network and take automatic action whenever the device is down. The Heartbeat Detect feature allows iBoot-G2 to monitor any server or PC running either the free Heartbeat Generator Program, or heartbeats integrated into your custom software. 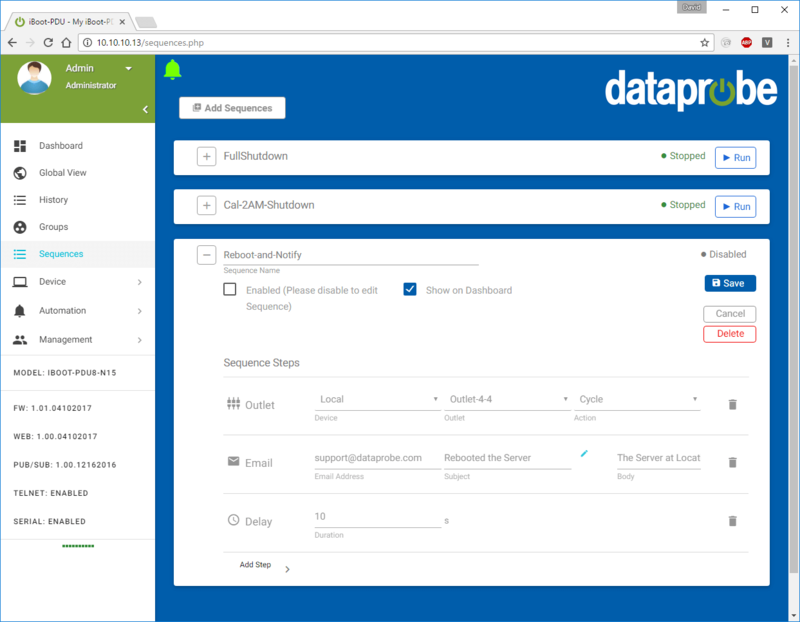 Dataprobe can provide developer support to make integration easy. This kit allows any iBoot-G2 Series unit to be either Wall or DIN Rail Mounted. When you need to reduce costly site visits, ensure business continuity and increase network reliability, iBoot series gives you peace of mind. 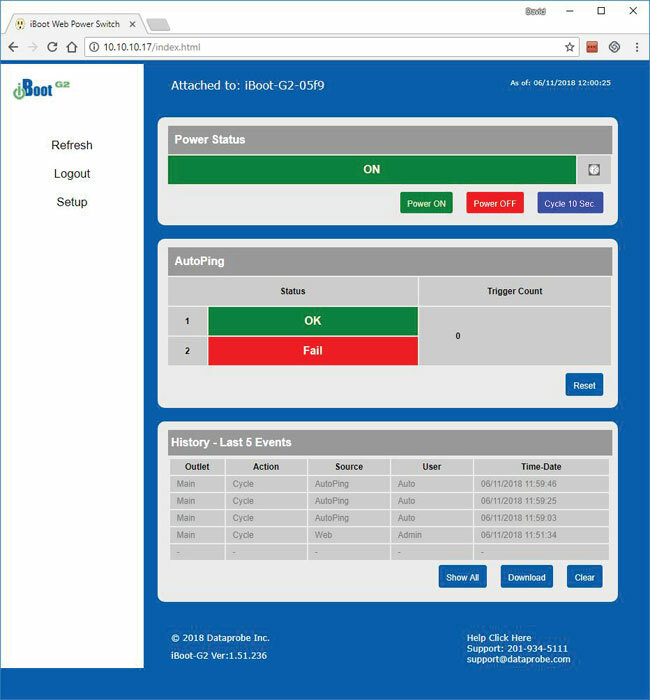 iBoot-G2, a web-accessible managed single-device Remote Reboot PDU enables multiple users to reboot remotely from anywhere, using any web browser, Telnet client or SNMP manager. 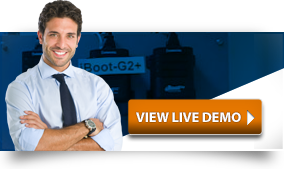 From servers and webcams to IP PBXes and surveillance systems, iBoot-G2 keeps your network up and running. 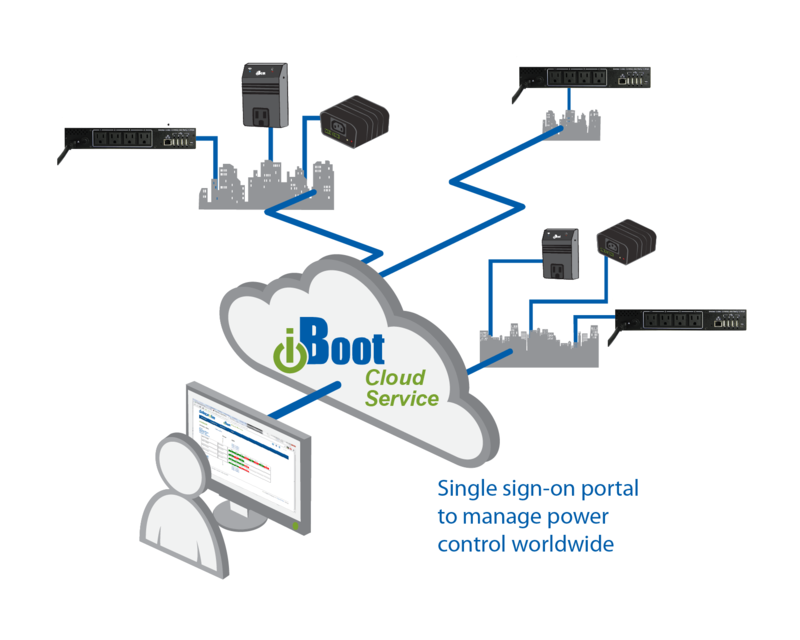 iBoot Cloud Service (iBCS) allows customers with iBoot-G2 to access and control multiple iBoots in multiple locations from a single portal with a single sign-on. USB Port: Out-of-band management with simple serial commands for status, control and setup. Dual Password Protected: Separate user and administrator passwords. Deploy iBoot-G2 throughout your organization. Direct TCP and Software Control: Control iBoot-G2 directly from your software application for the highest degree of power control integration. Simple protocol is freely available. 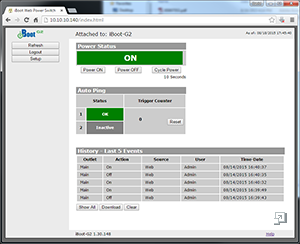 Use iBoot-G2 control program to call power control from any network management system. IPSentry What'sUp Gold, etc. 110/220 VAC Operation: Auto ranging power input. Deploy iBoot-G2 anywhere in the world. iBoot-G2 uses IEC320 Connectors and includes line and extension cords for North America. 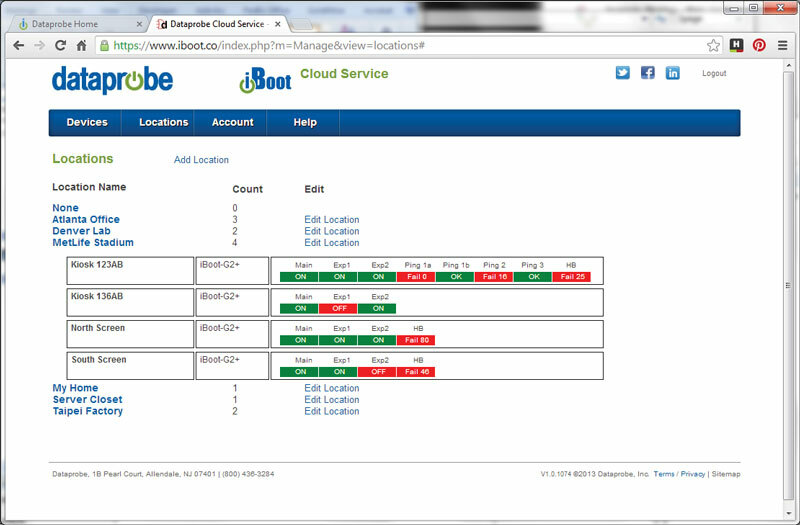 iBoot-G2 automatically monitors and protects your network. AutoPing continuously tests your connectivity to the internet or to any device on your network. When the network is down, or the device stops functioning, iBoot-G2 reboots the failed system to get you back on-line fast. 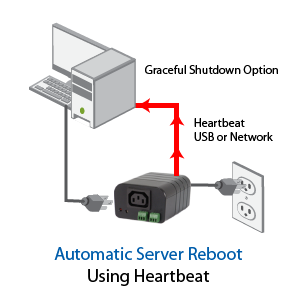 The Heartbeat Function provides a deeper inspection of Windows based PCs and Servers. A service app is installed and continuously notifies the iBoot-G2 that all is well. When the heartbeat stops, the iBoot-G2 springs into action to do 'Computer CPR' to get the system back on-line. The iBoot-G2 can furthermore attempt a graceful shutdown or restart of the server to forestall a hard power cycle of shutdown. With iBoot-G2 real time scheduler, you can use regular reboots to insure a fresh start each day. Power Up and Down equipment as needed to minimze energy consumption, heat and extend product life. Turn off equipment automatically when not needed for security and access control. iBoot-G2 will save you time and money by reducing costly downtime. Just point your browser to the iBoot-G2, login and you are one click away from bringing that failed system back to life. iBoot-G2 will even detect failed systems and take immediate action. The Dataprobe iBoot-G2 is also known as Dataprobe 1410034. Question: Do you have any sort of SDK to reset power automatically, not manually? Question: do the divice require to talk via router? or direct to web? I need a divice that can control power to router power before going to router. router keep hanging so will be imposible to "talk" to your divice if router is dead. Answer: Thank you for your inquiry. This device communicates over the LAN and would require the router to be functioning for proper communication. However, there is an AutoPing function that may work for you. 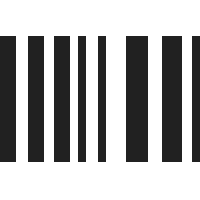 From the manual - "AutoPing: The AutoPing feature allows iBoot-G2 to automatically detect failed equipment and perform a timed reboot or other power control function (like turning on an indicator or siren). You set 1 or 2 IP addresses to be periodically pinged. When iBoot-G2 no longer detects a response from the address(es), the programmed power control function is actuated." Answer: Thank you for your inquiry. For questions regarding pricing, please contact your KVM Switches Online sales representative at 1-877-586-6654. Question: Does this device work to boot a mac mini when its completely shut down? We have not tested this and could not guarantee it would function as desired. However, if you can configure the Mac Mini to boot up when an attached power strip is powered on, then it should work. Question: Is the iBoot CE certified? Answer: Thank you for your inquiry. Unfortunately, we do not believe the iBoot G2 is currently rated for installation in a ceiling or plenum space. Question: How much is the postage to Japan? Please tell me the delivery time. Answer: Thank you for your inquiry. Please see: www.kvm-switches-online.com/info.html#International%20Orders for information regarding our international order policy. Question: Hi, where can I buy Iboot in the Philippines? Answer: Thank you for your inquiry. To find an international distributor for the iBoot, please visit the following page at the DataProbe website: http://dataprobe.com/contact.html. Question: Is the power on by default? Answer: Thank you for your inquiry. In general it would be powered on by default. Question: Do you have any device for lower temperatures (e.g. -30 to -40C)? Great question. What it boils down to ( no pun intended ) is if the breakers will trip under such low conditions.. I am unfortunately not currently aware of our vendors selling a remote PDU for this. For what it's worth, here is a great white paper to look at. Been using the G2 for a while. Really saves time when I can reboot the computer in our kiosks without having to visit the site.